Dear Friends-We hope that this end of the year letter finds you in good health and enjoying the Christmas holidays with your families and friends. Recent tragic events here in Portland and elsewhere around the county and world tend to make us appreciate and cherish those close to us even more. We do believe that the world is slowly becoming a better, safer place however, and that when we focus on that fact we can see past our current problems to a more positive future for us all. You are part of that better future we can see. With your help and support our organization and others like ours have been able to continue to work this year and plan for future programs. It’s been another busy year for us at Agua Pura and we look forward to the growing challenges and growing opportunities in the years ahead. Those of you who follow our work on our website or have contributed to our Global Giving campaign may be familiar with some of our programs, but for others I want to briefly share some of our progress and our successes this last year. Agua Pura works by cooperating with other non profits. We are invited and hosted by organizations and government agencies. We do not come and build things for people, but instead help them provide for themselves. We teach health leaders to test drinking water for contamination and support them with the tools and supplies for their work. We show families how to make their own water safe to drink, rather than wait for someone to provide a well. We show how improved sanitation can keep them and their families healthy and safe. Our motto is “una familia a la vez” which means one family at a time.This year we spent time in Southern Mexico working with our partners at Amextra the Mexican Association for Urban and Rural Transformation. They have a number of programs throughout Mexico and we worked with them in Mexico City and in Palenque in Chiapas State. We trained their staff in modern methods of water testing and simple methods of pasteurization. We also helped repair and restore a school latrine that was not functioning and added a hand washing station so that the students had a safe, sanitary bathroom at their school. 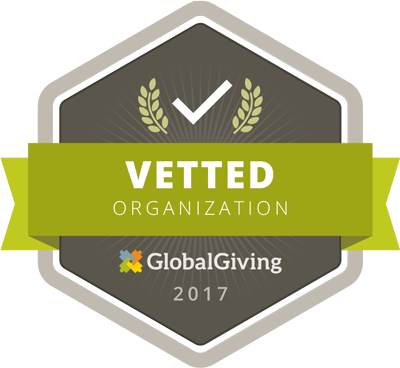 Here in Oregon we have trained and supported several volunteer groups with other non-profits that were going to Latin America countries such as Nicaragua and Peru. This helps extend our impact into new areas, and where we can follow up with other programs in the future. We’ve started taking interested volunteers with us on our projects as a way to train more staff and to help with our programs. We work mostly in Spanish, but even beginner level skills can be helpful and local families love to talk and find out more about us and our programs. If you are interested in participating, or want to be trained in water testing methods please let us know.